The last few weeks have been crazy. Since the start of the beta tests I've been working like never. There is always something to fix, something to balance (actually lots of things to balance), but it is tremendously satisfying to see the game in its current shape. In today's (very short) dev diary I want to introduce you to character cards. 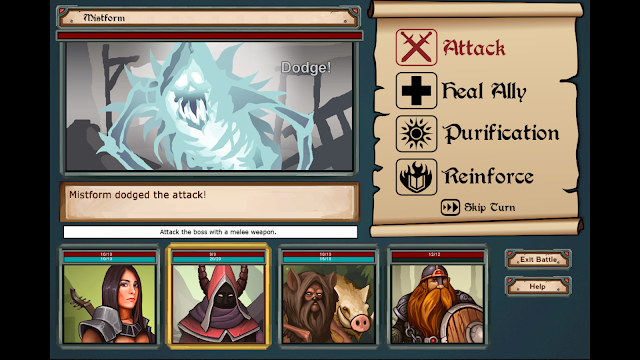 In Battle for Enlor, Character Cards contains all the information you need to know about a character: its stats, abilities, name and appearance. It will be a crucial element when making choices and building teams. 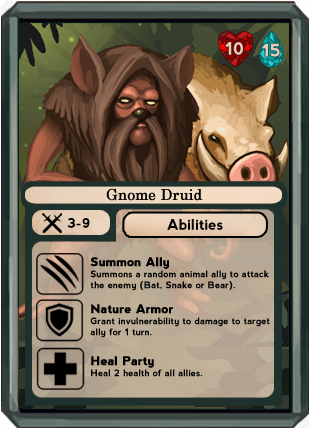 Gnome Druid character card. Please note that all cards displayed on this post are not final and may have different text and design in the final version of the game. As you may notice, there are three abilities displayed on the card. Along with it, every character has a basic attack that either can be melee or ranged. 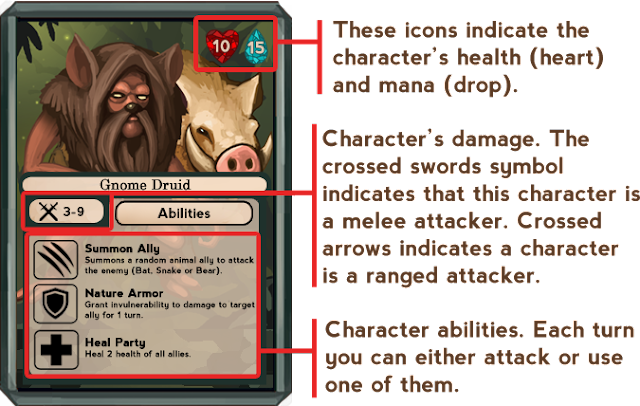 The image below was taken from one of the help screens and has some more detailed information about the cards' elements. That's it for today's post. Don't forget to leave a comment, I would love to hear your feedback! Battle for Enlor is planned to release late 2017 for PC, Mac and Linux. 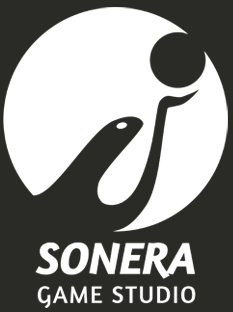 Visit the oficial game page here.